Prof. Johan W. Bosch MSc is part-time professor at Delft University of Technology. He combines his work at the university with a job at the Ministry of Transport, Public Works and Water Management, where he works as a top specialist and advisor in the field of subsurface construction. Professor Johan Bosch is involved with the implementation of underground projects in practice. His experiences should merge the knowledge about these projects and scientific education at the chair of Underground Space Technology of the faculty of Civil engineering and Geo sciences at Delft University of Technology. Prof. Johan W. Bosch MSc got his Master of Science degree in Civil Engineering at Delft University of Technology. He started his career in 1983 with the construction company Ballast Nedam Beton en Waterbouw. There he enlarged his knowledge about specialized foundation engineering, like earth-retaining structures, diaphragm walls and bore pile structures. From 1986 till 1992 he worked for the city of Amsterdam on the planning and design of several major subsurface infrastructure projects like the Piet Heintunnel and the North South metro line. The period from 1992 until 1994 he was executive of DSBV Engineers and Architects BV in Rotterdam. In 1994 he accomplished the merge of the companies Tauw Civiel and Bouw BV in Utrecht. He was deputy-director and member in the board of directors at the civil engineering and construction division at this company till 1997. 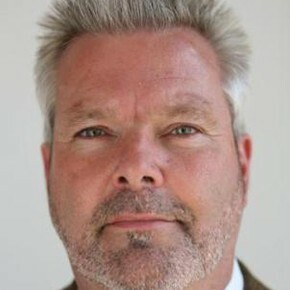 From 1997 till 1999 he was member of the board of directors of Tauw BV in Deventer. In 1994 professor Johan Bosch was assigned as construction manager of the North South metro line project. He also continued to work for the Tauw BV company until 1999. From 1999 to 2002 he was fulltime employed at the Department of Infrastructure, Traffic and Transport of the city of Amsterdam, where he held the position of construction manager of the project office North South metro line. There his responsibility was the constructional development of the new metro line in Amsterdam. After his appointment as a professor at Delft University of Technology in 2002 he combined both jobs. In 2010 he switched jobs and started working for the Ministry of Transport, Public Works and Water Management, as a top specialist and advisor in the field of subsurface construction.